Retail property in prime locations! BIMMO has a clear vision of the evolving retail market. The retail property market in the periphery, around residential areas or along access roads to urban centres has taken its place besides these of stores in the city centres. In recent years, BIMMO has specialised in such retail buildings located in the periphery. BIMMO’s peripheral retail property is a complement and an additional advantage for the stores in the city centres. This complementary cooperation between retailers in the periphery and those in the centre fulfils a crucial role for retailers and their customers. As a result, retail parks and clusters, under BIMMO’s management, are characterized for the high stability of both their tenants and consumers. This stability is the consequence of the quality of the location on the one hand and the cooperation with the local independent stores and economy, the beating heart of cities and municipalities, on the other hand. Last year, BIMMO invested in retail parks, where all retail shops utilize a spacious central parking. This allows customers to visit several stores without having to move their vehicle. The retailers are therefore being part of an integrated business complex. 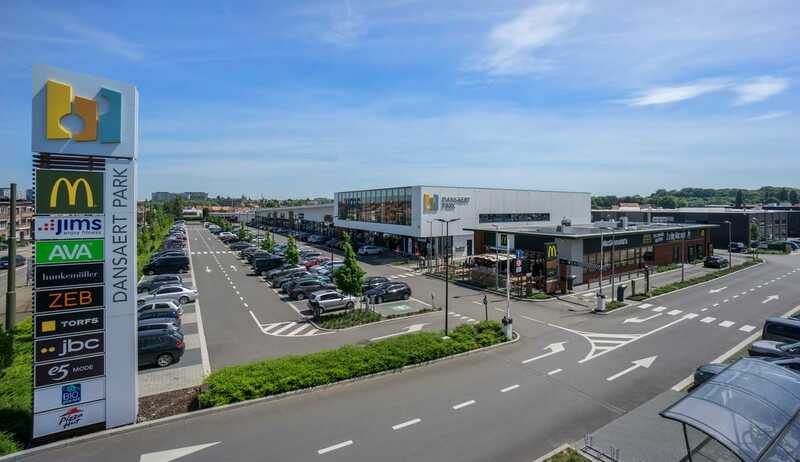 Amazing accomplishments of those kind of complexes are DANSAERT PARK in DILBEEK/GROOT-BIJGAARDEN and DEINZESHOPPING in DEINZE, as well as other BIMMO clusters. BIMMO’s main long-term objective is to continue to manage and expand retail properties, which give a guaranteed steady growth in the long term through the selection of location and the quality and diversification of the tenants. A carefully thought-out mix of retailers active in sectors such as fashion, leisure items, toys, do-it-yourself, home and garden or even food and catering is a well-established starting point in this regard. The evolution of the type of Retail is closely monitored. Our parks and clusters are composed of a sophisticated combination of stores to attract consumers and to offer them a unique experience. Clicks and bricks: Retail multichannel! The current evolution in the Retail sector is of great importance to BIMMO, going from a store-orientated approach to a customer-orientated approach. Today, our retailers are facing the challenge of integrating, evolving and operating online and offline channels in both the physical and digital world. They must also search to find the right synergy between physical infrastructure and digital channels, to create added value for consumers. The benefits of a digital channel for customers include, among other things, being able to access product information and make reservations, while the retailer offers a lot of touch-and-feel options to the consumers through the physical presence of articles in his store. BIMMO believes that e-commerce and physical stores enhance each other. Stores relatively close to the customer are not only convenient, but strictly necessary so that the consumer can ‘feel’ his product.